Passing the PMP(R) Examination (Pmbok(R) Fifth Edition)@2899 Rs [Mrp:-2899] - Onlinedeals.discount - A leading product discovery website. Find the true prices of products, read reviews and buy top brand products at reasonable prices. 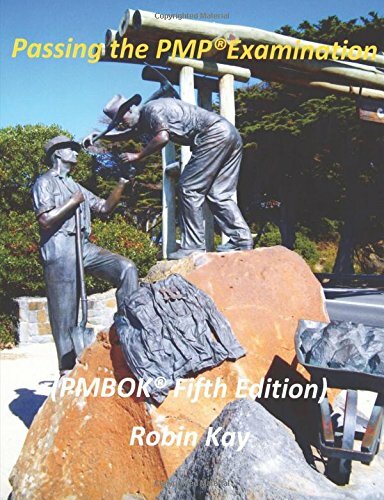 This book, published in 2014, reflects the changes made to the PMP examination introduced with the publication of the PMBOK Fifth Edition published 2013. The book contains 13 chapters. An Introductory chapter provides background information for PMP candidates and details about the exam. There is then a chapter on some basic project and PMI concepts followed by a chapter for each of the 10 PMI Knowledge Areas and a final chapter covering Professional Responsibility. Each Knowledge Area and the chapter on Professional Responsibility ends with practice exam questions with answers. The aim of this book is to complement the PMBOK Guide(which you must obtain separately) so as to provide a concentrated source of material that reduces or eliminates the need for other material. The author was formerley Head of Project Management Competency for the UK arm of Digital Equipment Company and Compaq computers and now works as as independent consultant and trainer in Project Management.